For a Superman film so heavily slated, is the Bryan Singer version as terrible as Lex Luthor? Superman Returns sees the red caped hero back in Metropolis after a five year absence. Superman quickly discovers things have changed drastically, but not enough to stop Lex Luthor, with his plans for mass destruction. Superman must fight against the career criminal’s plans, even when Kryptonite is being used against him. From the opening scene it’s obvious Superman Returns is an attempt from director, Bryan Singer, to recreate the magic of the original Superman film. The beautiful opening shot shows the destruction of Krypton with the original audio narration from Marlon Brando and classic neon titles. Superman even uses the same lines and phrases, ‘I hope this hasn’t put any of you off flying. Statistically speaking it’s still the safest way to travel.’ Unfortunately, the general tone of the movie is altogether different. On the one hand, the movie plays to its franchise roots utilising the boyish photographer Jimmy Olsen, Clark Kent and even Lex Luthor as goons. But whereas the original film balances this and world problems using a light hearted tone to mix the two, Superman Returns quickly becomes a plain-old drama which results in Superman and Lois Lane indulging in numerous staring competitions while everyone contemplates what life would be like if Superman had never left five years previous. Not surprisingly, the film is confusing to watch with so many elements clashing. Superman’s good-natured heroic deeds become more about the action and explosions than his reactions to them and the people he saves. This all leaves Brandon Routh stuck in the middle of regurgitating the seventies comedic vibe while being moody and serious. He does well to imitate Christopher Reeve, but this in itself was never an achievable task due to the muddle of his character. This is an interesting take on the original film but doesn’t pull off the action, drama and comedy it desires, leaving the audience underwhelmed. 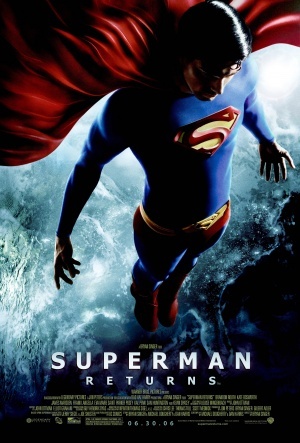 Not the hero’s best outing but certainly not his worst, Superman Returns is probably for regular film-goers rather than those loyal to the originals.